The true friendships are made exactly here at Sky bar in the hotel Russia! 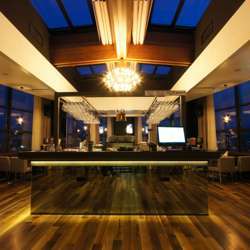 The Sky Bar is located on the 8-th floor in the hotel Russia with an amazing panoramic view over the city of Skopje, Vodno Mountain and Vardar River. Here you can get professional service, international dishes, and choice of various sorts of vines. Sky Bar is a perfect location for unforgettable nights, with a remarkable ambient and music that will warm your heart. Please only register for the event when you are sure of your attendance. This makes planning possible for us! Feel free to bring your friends and invite them to sign up to InterNations first. There's no better place to meet fellow expats and global minds this month! We look forward to seeing you and all your international friends!